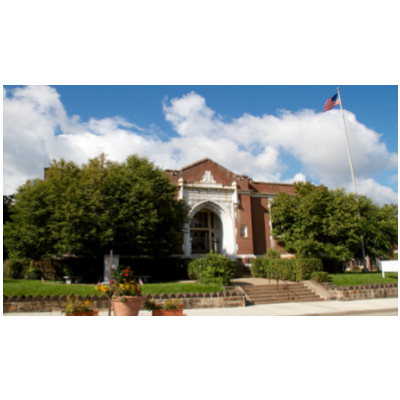 The Carnegie Free Library of Swissvale turned 101 in 2018 and is truly an EastShore destination point! Don’t get the age confused with an old library. Swissvale Library has WiFi and is equipped with seven public computers along with other services and amenities such as color copying, printing and computer tutoring. 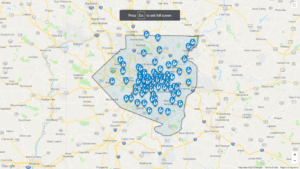 As part of the Allegheny County Library Association, you can use your county-wide library card to borrow any of the library’s materials and have access to the entire catalog and online eResources. Another convenience is you can borrow a book/CD/DVD from any of the other 49 public libraries with 70 locations in the Association, say the Downtown Business library, and return it in Swissvale. Need a book only located in Beechview? You can request the book and have it delivered to your local library for pick-up. The friendly and knowledgeable staff knows many of the visitors by name and that’s saying something with 50,000 visits occurring each year and 67,000 items borrowed (including 15,000 e-materials). Children’s librarian, Bonnie Egli, chooses books for the kids and teen collections, the story hours and the 4 adult book discussion groups. This year the entire staff will take part in the Summer Reading program, presenting story hours and activities for children of all ages. The library has programs designed for kids, teens, families/all ages and adults like Family Fun Night, WIZARD Card Game Tournament, book discussion luncheons, Preschool classes, Game Day and Saturday Fun. The offerings are so successful that a local daycare has scheduled 3 programs and the Rankin Christian Center day group will be walking to the library twice a week for programs. The annual Community Health Fair, in partnership with “Reach Up Swissvale,” and other workshops are scheduled throughout the year. 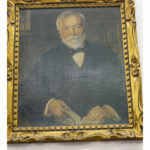 The library is one of 19 libraries that Andrew Carnegie built in Pittsburgh and Allegheny County and remains an independent library. The library is housed in a building that was part of the Swissvale Area School District with a 99-year lease which was taken over by the Woodland Hills School District as part of the 1982 merger. The library became a department of the school district and receives a small operating budget. Kate Coluccio is the point-person with the district along with the day-to-day management of library and completing required state reporting. Basically, that’s full-time responsibilities for a part-time job. 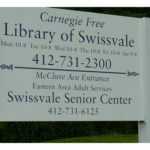 Carnegie Free Library of Swissvale is a great asset to the communities it serves. Kate Coluccio notes that the ACLA consortium opens the catalog up to everyone which is remarkable and the eiNetwork has brought efficiencies that helped immensely and continually offers new ways for the library to operate on a small budget. But there are certainly challenges that the library faces. The library is actually located on the second floor of the building and there are 2 sets of steps to the entrance, the restrooms are located on the first floor that is shared with the Swissvale Senior Center and maintaining an aging building is never easy. The library relies on the “Friends of Swissvale Library,” a small organized group that does whatever they can to help and fundraising efforts nearly doubles the library’s materials budget. Fundraising includes spring and fall book and bake sales and the holiday bake sale. The community support of the sales is crucial to keep the approximately 2,500 new items that are purchased or received each year. 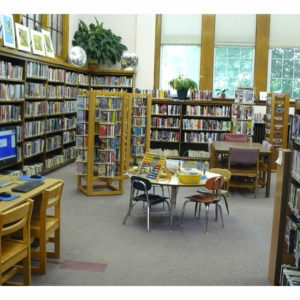 Additional support comes from the Monroeville library that regularly shares gently used books especially best sellers and the Swissvale Rotary club that supplies funding for the annual periodicals. You can help with monetary or material donations or volunteer hours. Whether you are a walk-in or accessing the library online, the Carnegie Free Library of Swissvale has something for everyone. 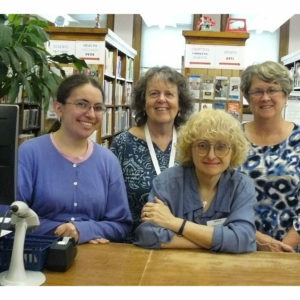 Find them at 1800 Monongahela Avenue, Swissvale, 412-731-2300, and check out all of the current programming at www.swissvalelibrary.org.